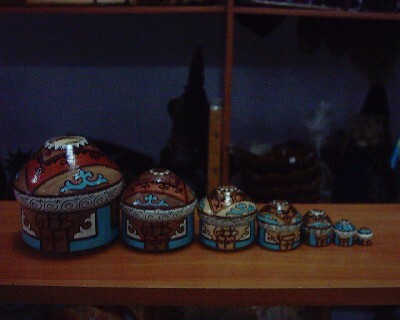 This a really unique handpainted set of nesting Urts. An exquisite hand painted wooden plate. A unique handmade Kazakh pillow. 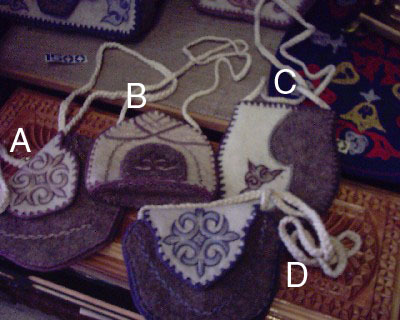 A kazakh styled purse. Please select one that you like and we will try to find something similar. 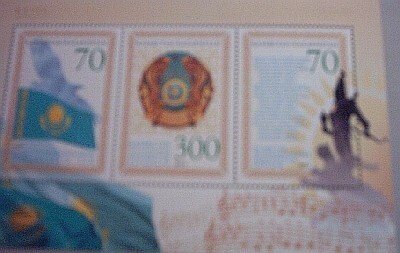 Kazakh Stamps - Set of 3 showing flags. 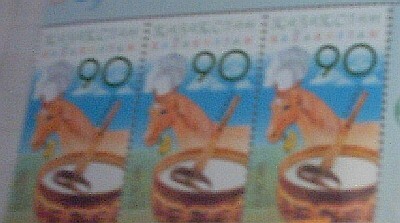 Kazakh Stamp depicting a horse. 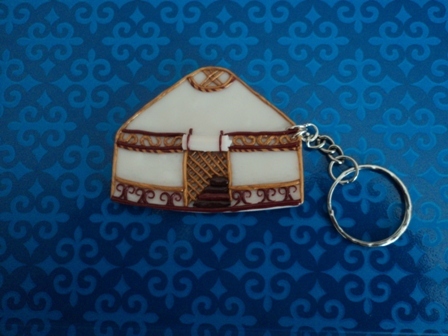 A handmade key chain with a Urt.